I’m a native Memphian. Despite the city’s blemishes and imperfections, it’s great to claim a hometown that, undisputedly, shook the world. Charlotte is great; Denver is beautiful; but nothing compares to waking up and working in a city that changed the planet. I grew up in East Memphis, first on South Perkins. My parents built a home in the newly emerging suburb of Parkway Village, just one block away from the “new” high school, Wooddale. We weren’t so much part of “white flight," but we were part of a national trend of suburban sprawl. It was your all-white, middle-class neighborhood. That was 1966 and, unbeknownst to me as a first-grader, my hometown had already established itself as the global epicenter of modern music. As I, just entering elementary school, struggled to memorize my home street address, my hometown was already memorized by people in almost every country on the planet. As I climbed aboard a school bus each afternoon after school, taking kid steps toward building my future, musicians were entering studios in Memphis, taking steps to further build Memphis’s musical future and what someday would be my passion and career. It was just two years before Dr. Martin Luther King Jr. came to Memphis, before my hometown shook the planet again. As children, we ran the neighborhood until late at night, only stopping when my mother called us indoors for the traditional evening dinner around the kitchen table — a tradition duplicated in millions of middle-class, suburban homes across the country. My father was a bookkeeper. My mother was a stay-at-home mom until I turned 12, when she took a job at Memphis’s Holiday Inn. No one worked harder than she did, although, as a woman, she naturally earned less. My childhood was all so routine, so structured, and we didn’t think anything about it. I assumed that everybody in the world grew up that way. Little did I know that my upbringing was vastly different from millions of families, many of which lived on the other side of Memphis and were one of the reasons Dr. King came to town. My elementary teachers encouraged my mother to send me to classes at the Memphis Academy of Art. From third to sixth grade, teachers involved me in decorating their classroom doors and bulletin boards with construction-paper themes of what we were learning in class. From as early as I can remember, I knew I would go into something creative. Once I learned what advertising was, I knew that was where I was headed. In 1972, my dad’s job transferred us to Little Rock, and that’s where I attended junior and senior high school. Busing had begun to integrate the schools, and my mother swore she would “lie down in front of the bus” before she would allow her sons to be bused. However, those yellow bus rides to Horace Mann Jr. High School taught me more than civics and American history classes. They taught me about people — differences and commonality. They introduced me to some of my greatest friends, and they taught my whole family about civil rights. And for 40 years since her son’s bus rides, my mother has been a champion for equality. I left my family in Little Rock and came back to Memphis in 1977 to go to Rhodes College, which was Southwestern College at the time. I chose Rhodes largely because of the way the campus looked, which was a rude choice on my part, as I now know it was unaffordable for my parents. I know they paid tuition for many years after I graduated. I studied art, but immediately picked up the Yellow Pages, flipped to “advertising,” and went down the list, calling ad agencies and asking if they were hiring. I landed a job with Graphics Unlimited Advertising and worked there throughout college. As much a print shop as an ad agency, the offices were filled with light tables, darkrooms, printing presses, X-ACTO knives, and negatives. We did everything in-house, and I learned it all. After graduating with a double major in art and theater and working for four years with Young Life, a multicultural high school Christian ministry, I was hired in 1985 as the marketing director for WHRK-K97, a predominately African-American radio station. Oddly enough, young, white teenagers were beginning to listen to heavy R&B and rap music, some 30 years after young, white teenagers had migrated toward black radio in the ‘50s, primarily to the legendary WDIA-AM, WHRK’s sister station. I spent the next 10 years at various radio stations, eventually ending up in sales. One of my big clients was The Comedy Zone in Overton Square. One day, club owner Randy Williams said, "I’d like to hire you to be my in-house marketing person." I said, "Why don’t you pay me commission, and I’ll set up my own ad agency?" It was a spur-of-the-moment thought on my part, but I saw the opportunity, and I didn’t want to pass it up. I opened The Barking Dog Agency in 1995. The agency became an advertising and special events firm involved in the marketing and, sometimes, production of such entertainment events as the King Biscuit Blues Festival, the 1998 MTV Sports & Music Festival, Bluestock Music Festival, the Crossroads Music Showcase, and the Memphis in May International Festival. In 1999, Memphis in May asked me to be their vice president of programming. I didn’t want to leave my agency, but the position offered me the opportunity to travel to the festival’s honored country every year to choose artists, exhibits and musicians. It was an opportunity I couldn’t pass up. I first traveled to The Netherlands (my first experience traveling internationally), followed by Korea, South Africa, and Argentina. On April 29, 2000, the Memphis Rock ‘n’ Soul Museum opened, having been developed by the Smithsonian in Washington, DC. By that time, I — a lifetime lover of Memphis, Tennessee — had also developed a passion for our music industry and legacy. I became the museum’s executive director in 2003, and I’ve enjoyed the challenge and the museum’s message since the first day I arrived. I work with a great board, developing strategies for the museum’s growth, stability, and future programming. Every day is as different and diverse as Memphis’s musical landscape. Every day offers a new opportunity to meet or work with someone who has established themselves as a brilliant thread in Memphis’s unequalled musical fabric. Imagine a job where every day you pick up your phone or open your office door and greet one of those unique individuals whose life work has played a role in Memphis changing the cultural complexion of the world. The challenges and opportunities for this museum are equally as diverse. I don’t ever plan to leave. The Memphis Rock ‘n’ Soul Museum is … an exhibition about the birth of rock and soul music, created through the eyes of the Smithsonian Institution. We tell the story of musical pioneers from all racial and socio-economic backgrounds who, for the love of music, overcame barriers to create the music that changed the world. The museum came into existence … thanks to a group of visionary Memphians, led by Charlie Ryan — then Ticketmaster president — and Carol Coletta — professional city strategist and owner of Coletta & Company. In 1990, the Smithsonian Institution (specifically the National Museum of American History) set out to develop a traveling exhibition about American music. The exhibit would travel the U.S. as part of the museum system’s 150th anniversary celebration. The Smithsonian was <<not>> looking to put a museum in Memphis, Tennessee. Charlie and Carol agreed that their goal should not be to merely assist the Smithsonian in developing an exhibit, but to convince them to develop a museum and present it to the city of Memphis. Generous initial supporters like the Hyde Family Foundations, First Tennessee, and several others assured that this great museum and great presentation of Memphis’s musical legacy would not leave Memphis. The museum is a bit unique in that … we house the Smithsonian’s first permanent exhibition outside of Washington, “Rock ‘n’ Soul: Social Crossroads” — the first and only exhibition ever developed by the Smithsonian in partnership with another museum. When I became Rock ‘n’ Soul’s first executive director in 2003, the museum was … three years old, was operating from the second floor of Memphis’s Gibson Guitar Factory, and was carrying substantial debt from its development. The museum’s gift shop was being operated by a third party, and the exhibit’s audio-guide units were being leased from the supplier on a per-attendee-use basis. Also, at that time, bulldozers had just begun turning the dirt at what would become the FedExForum, our city’s premier sports and entertainment complex. Subsequent goals … included developing plans for eliminating debt and charting the museum’s course toward stability, growth, and self-sufficiency. The museum’s visitors are most impressed with … Many of Rock ‘n’ Soul’s 60,000 annual visitors — 50 percent being overseas tourists — expect the museum to simply be a memorabilia collection or even an Elvis exhibition. But unlike other music museums — like Cleveland’s Rock and Roll Hall of Fame and Museum and Nashville’s Country Music Hall of Fame and Museum — Memphis Rock ‘n’ Soul is strictly story-based. Our exhibit provides a clear perspective into the individual, distinctive events that led to a very dramatic, world-changing musical explosion. That story, and the Smithsonian’s supportive research, make this museum the perfect gateway to every visitor’s Memphis music pilgrimage — to understand how the musical influences merged and, really, how Elvis became Elvis. Our digital audio tour guide contains more than 300 minutes of information, including more than 100 songs that trace the evolution of rock and soul music. Visitors go at their own pace through seven galleries loaded with audio-visual presentations, more than 30 instruments, 40 costumes, and countless other one-of-a-kind musical treasures. Among the museum’s biggest "wow" artifacts … The Big Bang Theory of rock ‘n’ roll, soul, and modern music took place at Sun Studio. That’s where black and white came together. The one piece of memorabilia that is the quintessential birth of Memphis rock and soul music is the original console from Sun Studio. It was on that console that Sam Phillips first recorded B.B. King, Howlin’ Wolf, Rufus Thomas, Elvis Presley, Jerry Lee Lewis, Carl Perkins, Johnny Cash, Roy Orbison, and so many others. Just as a seismologist determines a precise epicenter of a massive earthquake, the epicenter of the music that shook the world is sitting in the Rock ‘n’ Soul Museum, thanks to the Phillips family. Being a Smithsonian-produced museum means … adhering to rigorous curatorial standards: humidity and lighting control, storage, shipping, and making sure we treat Jerry Lee Lewis’s coat the same way the National Gallery of Art would treat George Washington’s hat. The most meaningful part of the museum to me personally … is that it transcends music memorabilia to tell a captivating civil rights story. When I was 9 years old and the civil rights movement was changing our nation, musicians throughout our city’s legendary studios — like Royal and Stax — were leading a musical civil rights movement. The nation and the world were coming together through the music created by black and white musicians inside these studios. The Smithsonian chronicled stories of studio musicians recording inside Stax Records while hearing the boots of National Guardsmen on the studio roof, patrolling the city following Dr. King’s assassination. At this darkest of days, Memphis musicians were extolling the virtues of Dr. King’s dream through their harmonies and lyrics. The idea for the Memphis Music Hall of Fame … came out of a Rock ‘n’ Soul strategic-planning session in 2007. Kevin Kane, Memphis Convention and Visitors Bureau president and CEO, said, "I think Rock ‘n’ Soul should start a Memphis Music Hall of Fame." I thought, "What? What is it? Is it another building? Is it a chicken dinner where we applaud people and give them a trophy?" We made the commitment that the Memphis Music Hall of Fame would be as professional and first-class as the music icons we honored. Memphis deserves its own music hall of fame because … The long-overdue tribute had been discussed throughout Memphis for decades, citing Memphis as one of the few — if not the only — cities in the world that boasts a musical legacy so prolific as to warrant its own music hall of fame. No city compares. Rock ‘n’ Soul even provides proof on our website: Memphis is mentioned in more songs than any other city on the planet — more than 1,000 recordings. 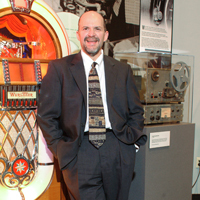 The Memphis Music Hall of Fame was launched … in 2012. We inducted 25 honorees that November and then inducted an additional 13 in November 2013. Honorees are selected by a prestigious nominating committee composed of nationally recognized authors, historians, curators, and music executives. The roster of inductees will grow again when the 2014 honorees are announced in late spring. Another five to six inductees will be announced and honored annually. My challenges today … How do we sustain this museum? How does it grow? How does it evolve? What’s its role supposed to be? What makes us different, and how do we incorporate that into the strategic planning? If Rock ‘n’ Soul is not evolving, then it’s dying. Keeping the museum relevant to upcoming generations … The Music Hall of Fame helped that goal — not just by being a hall of fame but also by establishing a place where contemporary musicians can pay tribute to those who paved the way and made such an impact on them personally. The Memphis Rock ‘n’ Soul Museum showcases the history of Memphis music; the Memphis Music Hall of Fame showcases the heroes of Memphis music. By paying tribute to the heroes, contemporary music luminaries find relevance. It’s become very clear to us that students today know Elvis, but not Carl Perkins, Howlin’ Wolf, Memphis Minnie, The Bar-Kays, or any of these folks. Yet the musicians they listen to still have that connection. As we add artifacts from one generation, the next generation will always be able to relate. Technology’s role … We’re about to renovate the museum from a technology standpoint. The main thing we’re being cautiously progressive about is making sure we don’t fall into the trap that a lot of museums fall into of thinking they need contemporary technology in their museum without first determining <<why>> they need it. Technology for the sake of technology is useless. People can see videos online 24 hours a day. Do they want to come to a museum just so they can play on an iPad more? The role of this museum is to protect and preserve our city’s irreplaceable musical archives, first and foremost – both memorabilia and recorded audio or visual oral history interviews. Our role is also to tell the unique Memphis music story and to perpetuate its legacy. If technology helps us to do that, then it has a legitimate purpose. However, people also want to stand face to face with musical memorabilia. Memorabilia has become the American treasure, and every one of us relates to it on some level. Producing a virtual museum tour … is something I’m opposed to. If we do that, why do we need this museum? I can see the "Mona Lisa" on my iPhone. I can zoom in and explore every crack in Da Vinci’s paint. But am I <<connecting>> with it? Am I tangibly relating to it? Why do people still visit The Louvre? For every person who goes to a museum, there is a <<physical connection>> to what they see and who we are. Nothing — <<nothing>> — takes the place of seeing something firsthand. Tennessee’s very first music-themed specialty license plate … was created by us in partnership with The Gibson Foundation. It features a picture of Gibson’s ES-335 guitar and proclaims Tennessee as "The State of American Music." There are college plates, wildlife plates, and rainbow plates, yet the most musically significant state in the country had no musically themed specialty plate. We launched the campaign in 2011, and the very first plates appeared on cars in December 2012. They’re available to every registered Tennessee driver at any county clerk office across Tennessee. The first year they generated more than $20,000, designated for music education for Tennessee students. Our biggest competitor … Fortunately, none of Memphis’s music amenities compete; they collaborate. We all share the commitment to deliver Memphis’s rich, unequalled music legacy to every interested citizen and guest. Some folks would say that I’m competing for tourist dollars — that if a tourist came to Memphis with just one $10 bill, I would be fighting Stax, Sun, or Graceland for that $10. But fortunately, people come to Memphis for a music pilgrimage, so Sun, Stax, Gibson, Graceland — we all become partners rather than competitors. In fact, we offer a collaborative combo-ticket that saves guests money, and Sun Studio runs a free shuttle among Sun, Graceland, and us. The museum is funded by … The museum receives no funding from the Smithsonian — in fact, we <<pay>> fees to the Smithsonian for insurance on loaned artifacts and for the privileges offered to Smithsonian affiliates. The museum relies on the sale of what we refer to as “tickets and T-shirts,” as well as a legion of extremely supportive donors. We work hard, totally committed to the museum’s mission. We keep expenses down, and we greet every visitor with the same enthusiasm we have for our mission. The museum became debt free in March 2012. The artifact that wows me most … [<<long>> pause] Gosh, they’re all like my kids. I have such an affinity for so many different ones because of how they came about or how they came to be resting inside the Rock ‘n’ Soul Museum. Every single one has a unique story, a proud owner, and an unparalleled role in Memphis music history. Music’s role in my growing up … People think I’m a musician, but I don’t have a bit of musical talent whatsoever. I love music, I love being involved in music, but it was advertising that kind of led me into it. The biggest lesson I learned at WHRK-K97 … was cultural, in terms of how we get along among races. I was one of the few white employees there, and at the time, the station really controlled the African-American music community. But the station wanted to expand its audience, so I pitched the station to more city events. It became a firsthand reality to me what inequality was. The huge lesson and appreciation I have for that job is that it made me understand racial inequality more. It made a big impact on me that my listeners at K97 were perceived as less valuable solely because of their skin color. And <<I>> was getting personally rejected for that same reason. I wasn’t used to that. I proposed to my wife … in 1985. I wanted to do it in a special way at the gazebo at Court Square. The night before I proposed, I sat in my apartment and blew up 300 white balloons and decorated the gazebo. I hung up a big banner that read, "Will You Marry Me?" Then I called Lynn and told her that we were going out for dinner, and I would pick her up. Instead, I sent a limousine, which brought her to Court Square. She got out of the limo, and there I was. I had a horse-drawn carriage ready with a "Just Engaged" sign on the back. I guess I was optimistic. We rode the carriage to The Peabody and had dinner there. Everyone tells us how romantic that sounds, and I tell them that it’s just the promotions/special events person in me doing what I do best. Besides, I wanted to make sure she said yes! We were married in the lobby of The Orpheum Theatre. That was 28 years ago. My mother taught me … customer service. She cared a whole lot more about her customer than she did about her boss. She didn’t do her job to please her boss; she did her job to please her customer. And she didn’t kiss up to her bosses, either. Rather, she let her performance speak for her. She still has an incredible work ethic and takes incredible pride in the work she does. The trait I got from my father … He was very mechanical, very practical, and he could fix anything. I had no interest in learning how to fix cars or things around the house, so my father instead taught me only those things I needed to know so that I wouldn’t be a complete imbecile when something broke. The trait I get from him is the ability to maintain my composure under pressure, and that has served me well in life. If I could do one thing differently … My belief system doesn’t maintain reincarnation, but I wish it did. I’d like to come back and do life again. I’ve always said, all along, the job I would love to have more than any job in the whole world is to run a zoo. If I ran the zoo, I’d be the happiest person in the world. I don’t have a clue what you feed a pachyderm, but I think I could market it well. That’s why I’d better stick with the other job that makes me the happiest person in the world. The Barking Dog Ad Agency’s name … was innovative. Every ad agency in the market at the time was named after the partners. I was a single person who had no real strong advertising reputation, and I knew that the way to catch a client is to grab their attention. So I wasn’t going to name it something like Doyle Advertising. I wanted something where the logo could be cool, and I could branch off with unusual marketing pieces. One night, I was watching "Family Feud," and the question was, "Name a sound that grabs people’s attention." The No. 1 answer was a police or fire truck siren — which just didn’t have nice ring to it — and the No. 2 answer was a barking dog. Bingo. The biggest lesson I learned at Barking Dog … was how to be businesslike. Suddenly, everything rested on my shoulders — especially the making money part. I learned how to work harder, be more creative, and trim unnecessary expenses. My biggest personal growth came … during my employment at Memphis in May. That job gave me more confidence in my abilities. I’d be in, say, Korea, looking for a music group to play the Beale Street Music Festival; looking for an art show for the central library, an art show for the National Civil Rights Museum, an art show for Mud Island; looking for cultural performers to do a show at The Orpheum. It was more "spinning plates" at Memphis in May, of being strategic about who you were bringing to town and how you were going to manage the budget. And, it was a huge organization. It trained me how to lead a big organization that wasn’t just my little agency, where I was mainly focused on just making a living. Memphis in May taught me … what strategic planning was. I didn’t strategic plan anything prior to that point. At Memphis in May, there were strategic planning <<sessions>> about what to try next. Could the Great Southern Food Festival become a new component? Should we do a big outdoor international festival? How do we make barbecue "wow" again? We’d try different things to evolve that festival so that it didn’t become stagnant. We were thinking three and four years ahead. Those lessons came with me to Rock ‘n’ Soul. My wife … I started dating Lynn right after college. We got married on Saturday, September 14, 1985, and I went to work for K97-FM radio that following Monday. We postponed our honeymoon by six months so I could start my new, "grown-up" job. She is executive director of marketing for Delta Medical Center and has been there for 28 years. My children … Our son, Bennett, is 27 years old and is promotion assistant for Memphis’s Entercom radio stations, promoting FM100, WRVR, KQK, and ESPN. During high school, his friends considered him a bit unusual because he grew up with both parents in the same house. Most of his friends didn’t. I believe … in a higher power. I believe in God. It’s just impossible that there could be this many coincidences in life that lead us exactly where we need to go. One of the most useful lessons I learned … is the importance of attention to detail. One of my Barking Dog retail clients, a clothing store, told me that he instructed his employees to pick up jeans, unfold them, and refold them — even when all the shelves and racks were straight — because when customers came in, they’d see employees attending to the store’s business and details. It showed that the employees were committed to its success, and that there was an energy about the building. Today, at Rock ‘n’ Soul, I can’t stand and won’t allow the employees at the front desk to just sit on a stool when customers are present. Stand up! Do things! Straighten the gift shop even if doesn’t need to be straightened! Care enough about this place that you’re making sure it looks the best it can be. The public’s biggest misperception about the museum ... is that it will be riddled with Elvis Presley memorabilia. Graceland is the King’s mansion; that’s not our mission. We have incredible Elvis memorabilia, but no one, of course, tells Elvis like Graceland. We tell the complete Memphis music story, of which Elvis is a part. That’s why we complement the Memphis music experience as a whole, along with Sun, Stax, Graceland, and others. Most people don’t realize that I … am not too comfortable being the "front person" for anything. I’ve always been an excellent No. 2 guy in the chain of command. But I’m passionate. So when I came here, it was hard, but I had the passion — and a very visionary board — to make it happen. People might be surprised to learn that … we credit President Franklin Delano Roosevelt as the Father of Rock ‘n’ Roll because if Roosevelt hadn’t started some of his Depression-era New Deal initiatives that ran sharecroppers off of the farms and into the city for jobs, the music from the fields wouldn’t have found its way to Memphis. My favorite music to listen to … Contemporary music, and lots of it. U2. Dave Matthews. Mumford & Sons. Prince. Macklemore and Ryan Lewis. Pitbull. My iPod has more than 1,500 songs. The three achievements I’m proudest of … Convincing my wife to marry me, having a really great son, and being true to myself and my beliefs throughout my career. When I’m not being executive director, I like to ... travel a lot. I’ve been to more than 25 foreign countries so far. I like attending concerts and Grizzlies games. (It’s great to have reserved parking at FedExForum.) And, unfortunately, I watch too much reality TV. Items still on my bucket list ... Climb Mount Kilimanjaro, visit Antarctica (the only continent I haven’t visited), and write a book. My final 2 cents ... Memphis’s history was forged by the harmonies of great people; Memphis’s future will be forged by great people working in harmony.